Designer Roofing & Restoration LLC. 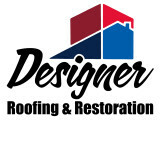 Designer Roofing & Restoration is a locally owned and operated company. We are fully insured and certified by multiple manufacturer's. This gives us the ability to provide you with the best standard and extended manufacturer warranties and of course all work performed will be backed with our personal workmanship warranty. Providing our customers with the best products and customer service will always be our top priority. Experience: Ours Makes Yours Better | Our owners, Bobby Myers and TJ Krejci, are construction professionals who bring more than two decades of experience to each project. Together, Bobby and TJ have built a team that is dedicated to providing our clients with customer service that exceeds expectations. This is why JCB Roofing management takes all calls directly and offers same-day estimates. 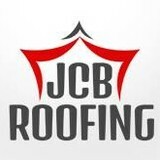 JCB Roofing will always work in your best interest. We use quality materials, state-of-the art techniques and equipment, comprehensive insurance programs, and we have the most experienced and skilled craftsmen in the business. It is our #1 goal to build client relationships by providing you with groundbreaking service and undeniable quality. We Are a Veteran Owned Company | JCB Roofing is proud to be a veteran owned company and to support our Hometown Hero project. Call for a FREE Same-Day Estimate | Contact JCB Roofing at (912) 920-4364 or (843) 342-2255 for more information about our services or to request a free estimate in South East Georgia and Coastal South Carolina. You can also fill out our online form. We are fully licensed, bonded and insured roofing contractor. When you choose to work with us here Roofing Experts, you’ll quickly find that we’re not your average Hilton Head or Savannah GA roofing company. Our success is measured only in your satisfaction. Thus, we’ll make every effort to deliver the quality of roof repair or replacement that you’re hoping for, both on time and on budget. Countless previous customers in the local area can’t be wrong. We have 30+ years experience in roofing replacements, repairs and inspections! Established in 2005, Powell Roofing LLC is locally owned and operated. We offer competitive pricing and all workmanship is backed by a 10 year warranty. Beginning in August 2015, Powell Roofing LLC is proud to offer 50 year warranties upon request. Powell Roofing is dedicated to making the purchase of your new roof an easy and pleasant experience. Based upon a thorough inspection of your roof, we will answer all of your questions and give you all the information you need to make this a simple but educated process! We pride ourselves in being extremely professional and efficient. Most roof replacements will be completed in one day. Our staff has over 50 years combined experience and we are completely dedicated to ensuring that you will love the new look of your home! Roofing Company for Commercial & Residential Roofing in GA and SC. We sell and repair shingle roofs, metal roofs, flat roofs and commercial roofs. Same day service for estimates. Free inspections. Storm repair. """South Shore Roofing is a full service roofing contractor serving Pooler,GA and serving the surrounding area. We are licensed, insured and certified as warranty approved installers for a variety of name brand roofing manufactures. We specialize in the replacement, repair and installation of new roofing systems for both residential and commercial buildings. Whether you need a new asphalt shingle roof, a beautiful looking architectural shingle roof, a flat roof on a commercial building or a long lasting and durable standing seam metal roof, the roofer experts at South Shore Roofing will leave nothing behind except a properly installed roof and an excellent customer experience.""" We're a locally owned and operated company that values honesty and integrity and treats your home or business as if it were our own. We are experts in all aspects of roofing projects and our services are customizable to each individual project. We specialize in both installations and replacements. We pride ourselves on the quality of our work as well as our commitment to outstanding results. We look forward to building lasting relationships and guarantee your satisfaction! Call for references and a free estimate! Real Wood Shakes – Sustainable Beauty & Durability to Last a Lifetime LifePine®, a division of Green Shakes, LLC, is dedicated to customer service, the environment and delivering the highest quality shakes and shingles in the wood roofing market. Unlike cedar shakes, all LifePine® products are made from a truly renewable resource, farm raised Southern Yellow Pine. At LifePine®, we are committed to making the most sustainable and eco-friendly product possible. Greenbrier Roofing, LLC. is a total restoration and repair company, which actively serves families and businesses throughout Georgia and South Carolina. We specialize in all types of residential and commercial roofing including shingles, metal, tile and slate. We do only top quality work at affordable rates and warranty all work. We only use the best materials and are dedicated to completing each project in a timely manner. Your Neighbor's Roofer Savannah is a full-service roofing contractor serving the greater Savannah area. With years of experience, in-house consulting services, and trained installers, Your Neighbor's Roofer Savannah is a leader in roofing services such as leak repairs, roof repair and replacement, or help with the insurance claims process for wind and hail damage roof replacements, we ensure you receive the full benefit and longevity you deserve. 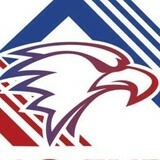 """South Shore Roofing is a full service roofing contractor serving Richmond Hill,GA and serving the surrounding area. We are licensed, insured and certified as warranty approved installers for a variety of name brand roofing manufactures. We specialize in the replacement, repair and installation of new roofing systems for both residential and commercial buildings. Whether you need a new asphalt shingle roof, a beautiful looking architectural shingle roof, a flat roof on a commercial building or a long lasting and durable standing seam metal roof, the roofer experts at South Shore Roofing will leave nothing behind except a properly installed roof and an excellent customer experience.""" What do roofing companies in Coosawhatchie, SC do? Your Coosawhatchie, SC roofing contractor can install a new roof or repair an old one, as well as repair and replace gutters. Good roofers in Coosawhatchie, SC should be able to promptly inspect roofs and gutters to assess damage after a natural disaster or other event, and give you an estimate for the necessary roof repair immediately. Some Coosawhatchie roofing companies specialize in specific types of roofs, such as tile or metal, so make sure the one you are interested in works with the materials you have or desire. Find a Coosawhatchie roofer on Houzz. Narrow your search in the Professionals section of the website to roofing companies in Coosawhatchie, SC. If you’re planning a large-scale project, find other professionals on Houzz who can help get the job done. Here are some related professionals and vendors to complement the work of roofing & gutters: General Contractors, Specialty Contractors, Siding & Exteriors, Door Sales & Installation, Garage Door Sales & Installation.